Norwood’s Offer Landing Page for Visa Cardholders. ‘Sharing Economy’ and ‘Communications as a Service’ pioneer Norwood Systems Ltd (Norwood or the Company) (ASX: NOR) is pleased provide an update on ongoing Channel Partner initiatives for the Company’s consumer-focused World Phone communications product. Following the launch of a customised World Phone bundle for RAC Travel members, Norwood has seen significant interest from other potential partners in the travel and loyalty space for similar bundle offers. This has now seen a customised offer made available to Visa Cardholders in Australia and New Zealand who have registered for Visa Offers or Visa Premium offers and communications. World Phone is the world’s leading virtual phone app. It provides the same ease of use as the regular “phone app” but importantly allows customers to save on expensive roaming calls whilst overseas. Customers can call home or around the world using World Phone, using prepaid minutes provided as part of this package. The Visa Cardholder bundle also includes a complementary In-App “secondline” Australian mobile number. Customers can forward their mobile or landline to the secondline number while they are overseas, so they can always be within reach around the world. Callers pay their typical Aussie rate. An advanced voice mail feature is incorporated into World Phone, which allows users to pick up and listen to messages anywhere in the world from the cloud. Norwood is now executing on the Company’s digital marketing plan by working with Visa and their agencies to make sure strong levels of traffic are directed to the World Phone site, which will drive sales volumes. 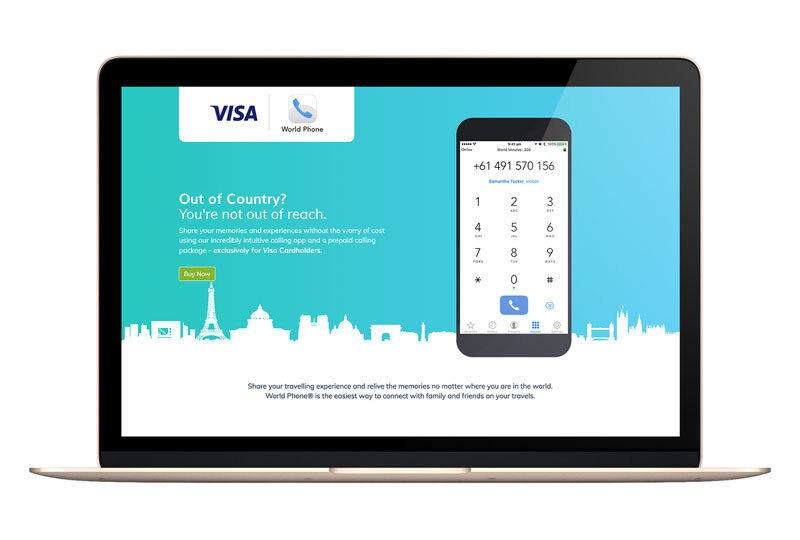 This includes the establishment of a dedicated landing page for Visa Cardholders to use to take up the bundle offer (as shown above). Copyright © 2019 Norwood Systems. All rights reserved.